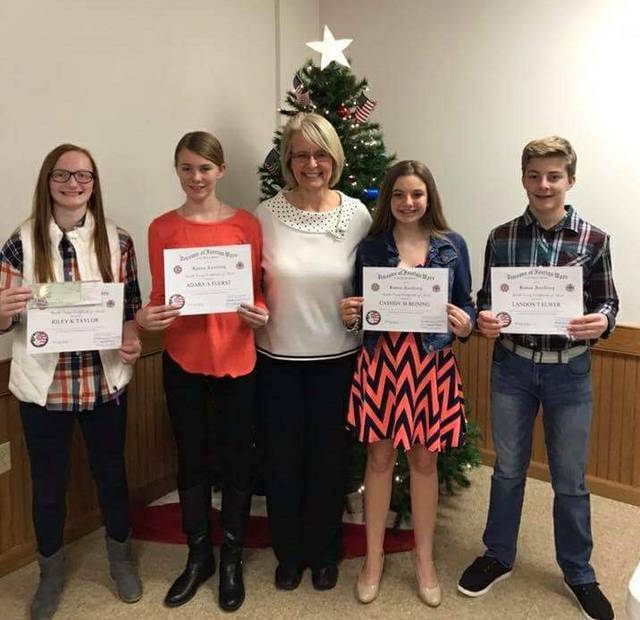 DELPHOS — The Delphos Chapter of the VFW selected four local junior high school students as the winners of this year’s essay competition. Seventh grader Riley Taylor and and eighth graders Adara Fuerst, Cassidy Beining and Landon Elwer were the winners chosen by the VFW. Participating students were judged on overall theme, knowledge of the theme and clarity of ideas. Fuerst was chosen to compete at the state level.